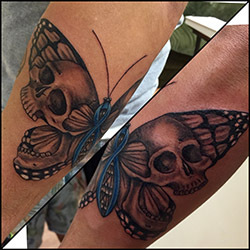 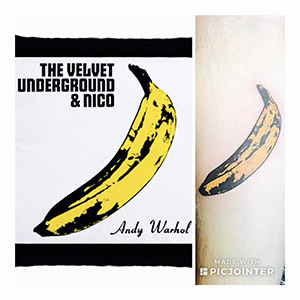 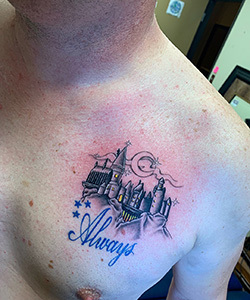 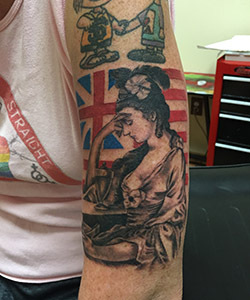 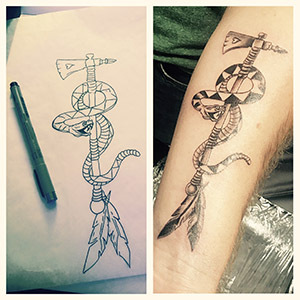 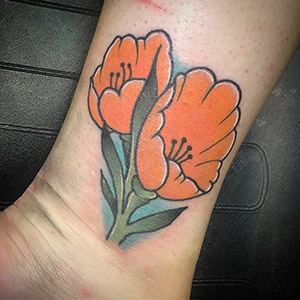 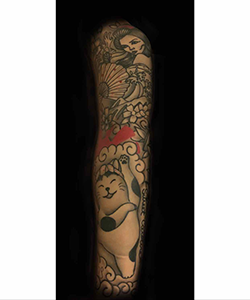 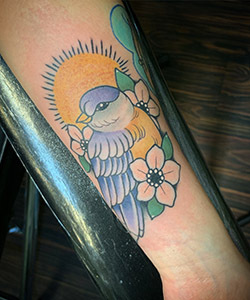 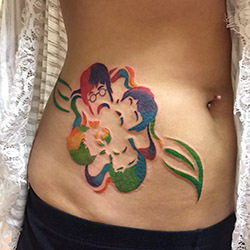 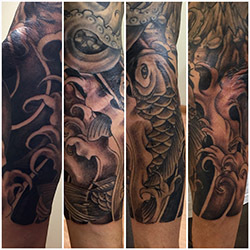 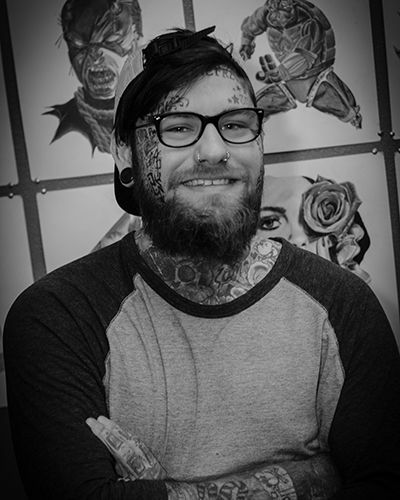 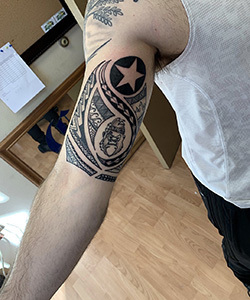 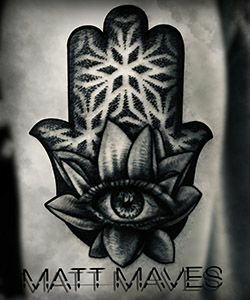 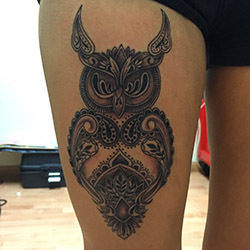 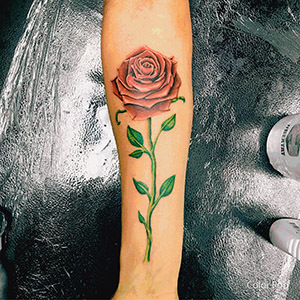 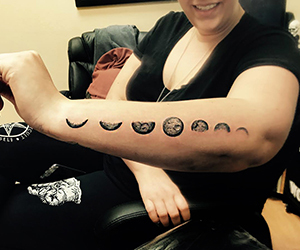 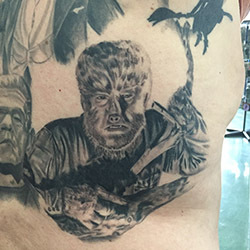 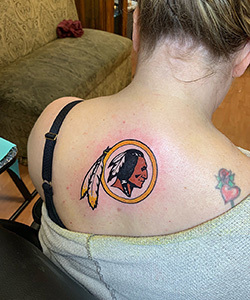 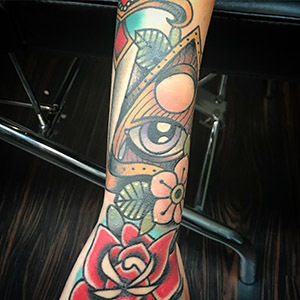 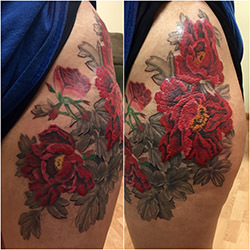 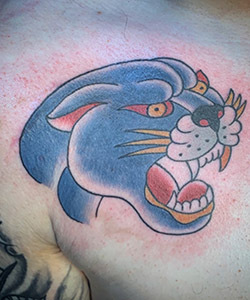 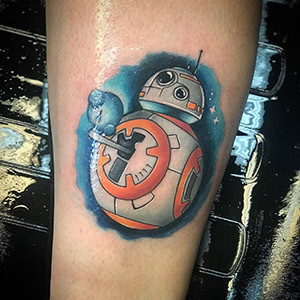 Tattoo Artist Devin – I have been tattooing professionally for 2 years . 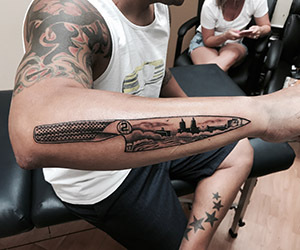 Art has always played a big part of my life and since a kid I had a desire to create. 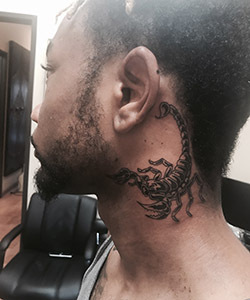 I got my first tattoo at the age of 13 in my freinds garage and from there the culture was instilled in me forever. 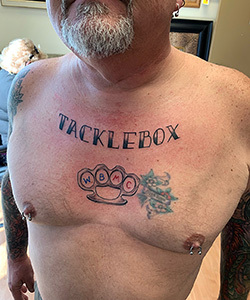 Tattooing has truly changed my life and I am very passionate about my craft. 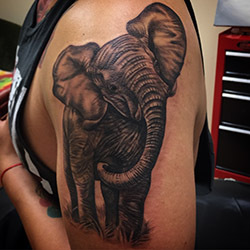 I feel blessed that I can do what I love daily and provide for my daughter as well. 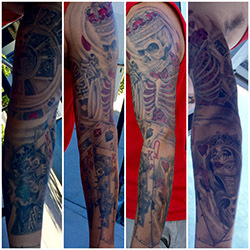 I feel it is more then reason enough to never want to stop excelling , learning and improving in my craft. 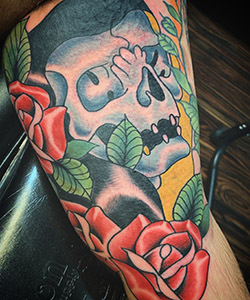 I love to do black n grey tattoo work and have a lot fun with color peices as well. 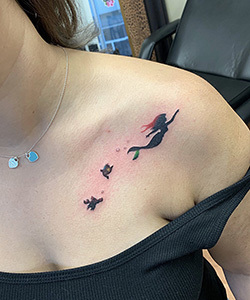 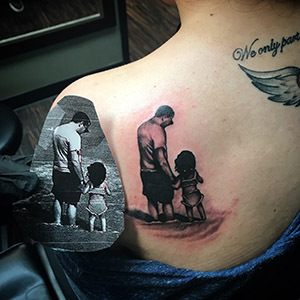 I feel that a tattoo is more then just a needle breaking skin but more so the experience , stories and memories that go with getting the peice done. 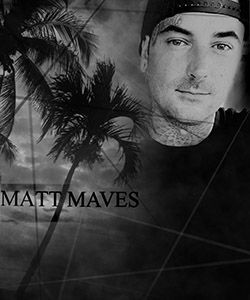 With that being said stay blessed and we’ll see you soon. 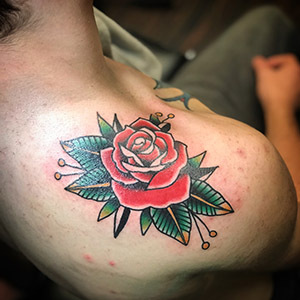 Tattoo Artist Zack – At 17 years old I was first introduced to tattooing. 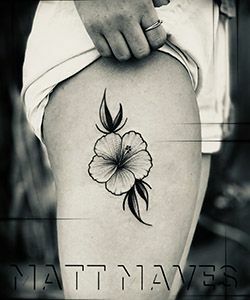 I remember walking into the tattoo shop to get my first tattoo. 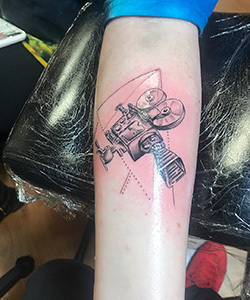 Scared, not knowing what the artists would be like or what it would feel like, but from that day on, I knew this was the job for me. 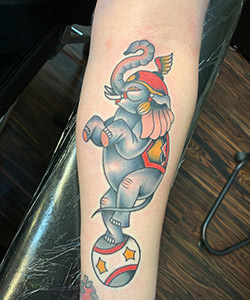 Telling the artist what I wanted on my arm and before I knew it I was sitting in the chair with the tattoo machine buzzing. 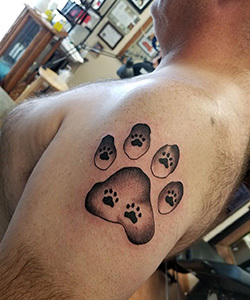 Ever since then my life changed. 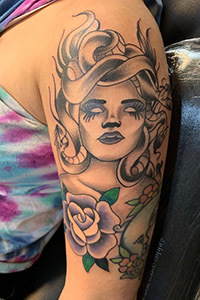 I became obsessed with this art style, the artists, and the challenge of tattooing. 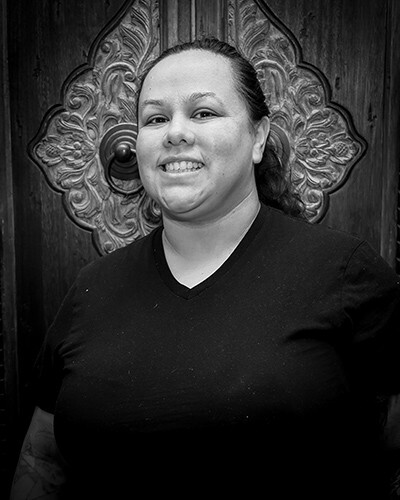 My apprenticeship began as soon as I could at the age of 19 in Las Vegas, Nevada. 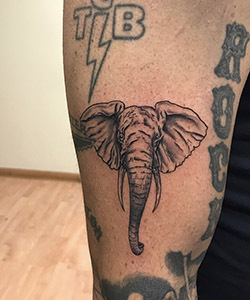 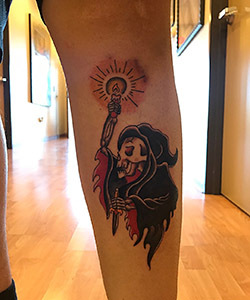 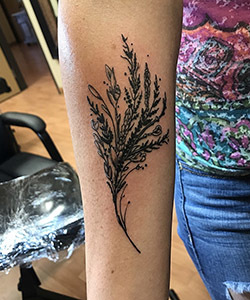 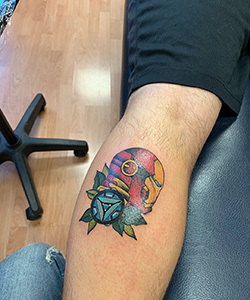 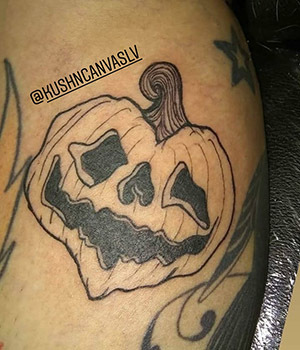 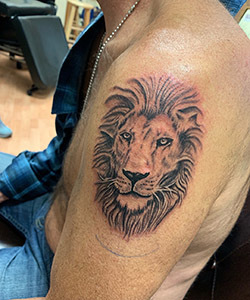 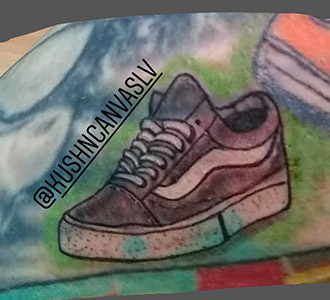 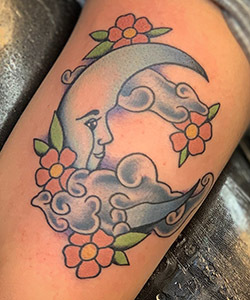 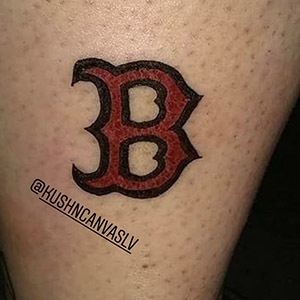 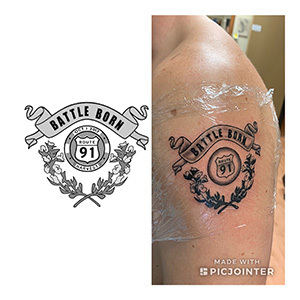 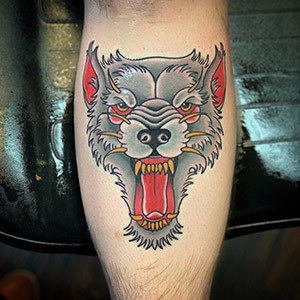 By the age of 20 I had received my professional tattoo license from the Nevada State Health Department and began my journey as an official tattoo artist working in a few shops around town and becoming better and better every day. 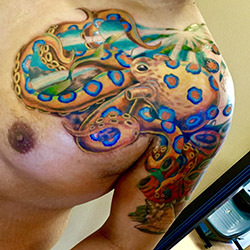 Every day I learn something new and will continue to improve no matter what obstacle is thrown my way. 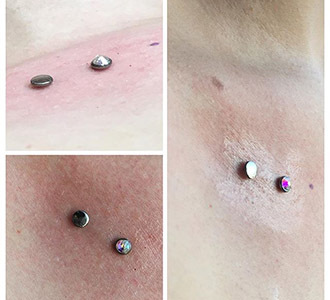 My name is Sami Leyba I’ve been professionally piercing for 10years. 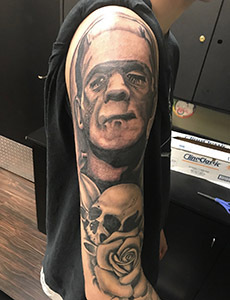 I am also a tattoo apprentice. 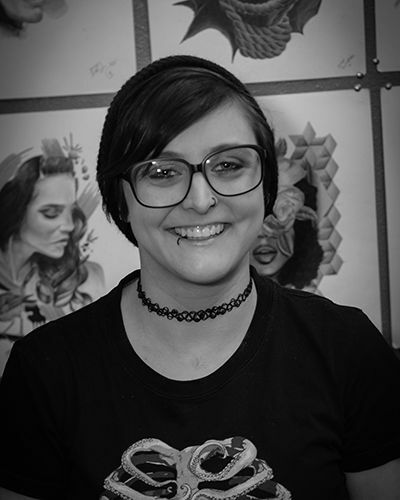 I love to paint, draw and attend concerts. 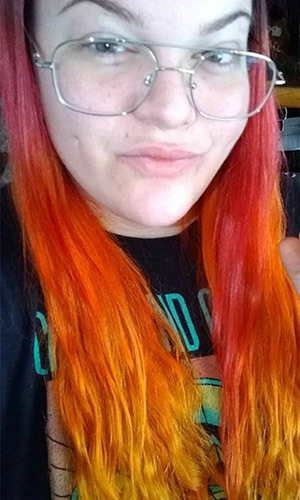 Also enjoy to hang out at home with my husband. 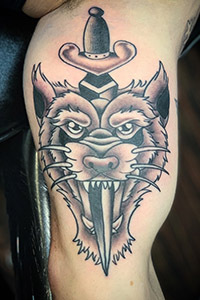 I work at the Henderson Tattoo Shop. 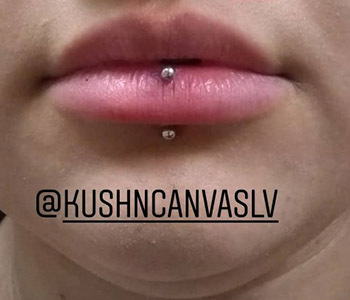 Tuesday, Thursday, Friday, Saturday 1-7 & Wednesday 2-8. 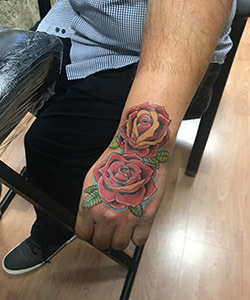 Off Sunday and Monday. 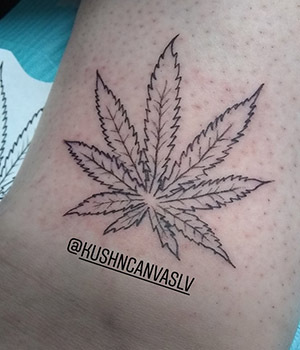 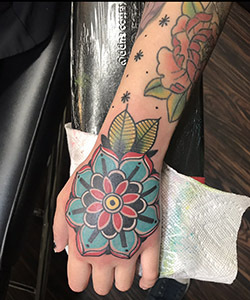 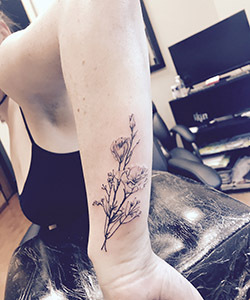 Tattoo Artist Claudia – I’m born and raised in Las Vegas. 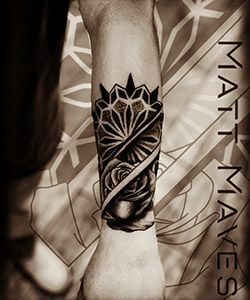 Ever since I can remember I’ve always loved art. 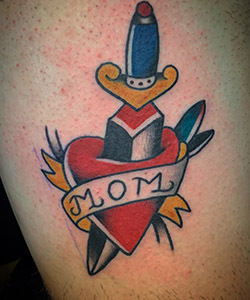 Growing up I always took every art class I could. 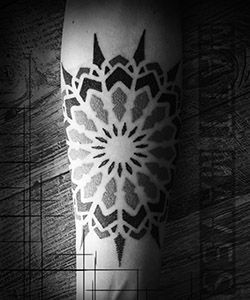 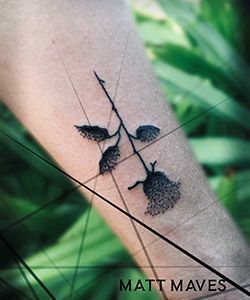 As I got older I knew I wanted to create, going to The Art Inistitute for Graphic Design at the same time became an apprentice to become a tattoo artist. 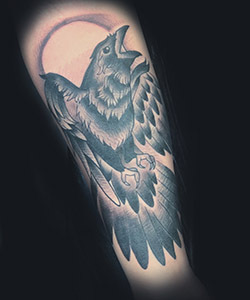 And I’ve been tattooing for 6 years, I like tattooing all styles but prefer watercolor, color and black-n-grey realism. 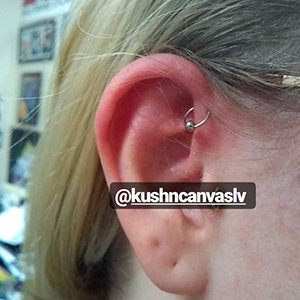 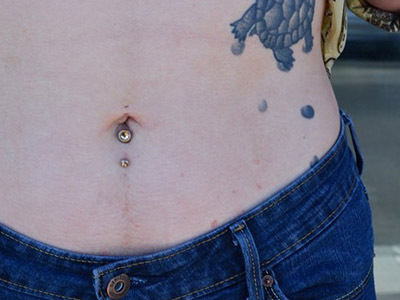 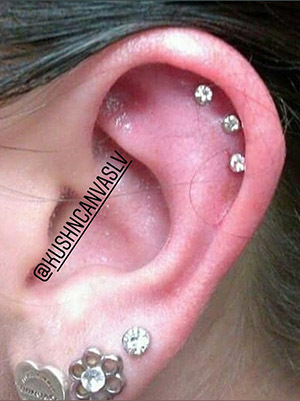 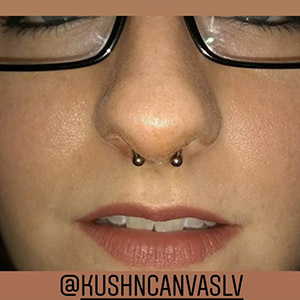 Piercer Samantha – Originally from Chicago, I moved to Las Vegas when I was 18 to attend UNLV. 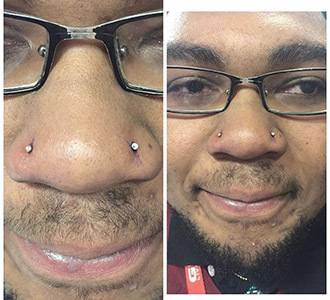 I soon realized that college wasn’t for me, and decided to take a more unorthodox path. 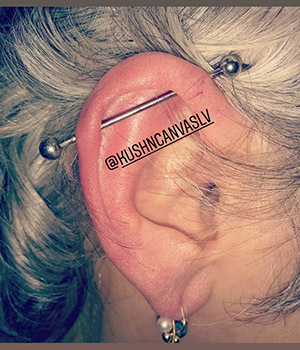 Then I got an apprenticeship at a shop here in Vegas and put in hard work to learn everything I could. 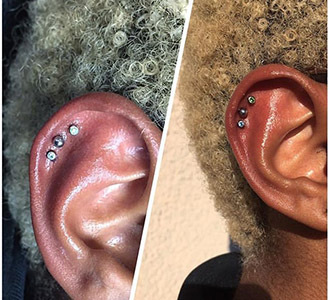 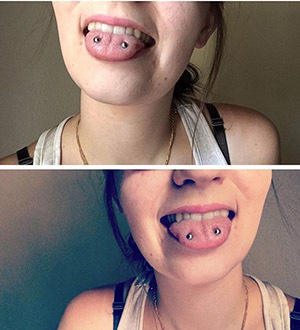 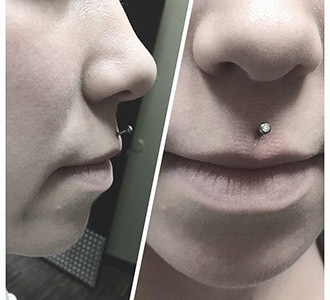 I fell in love with the art of piercing, and have been doing it professionally since 2013. 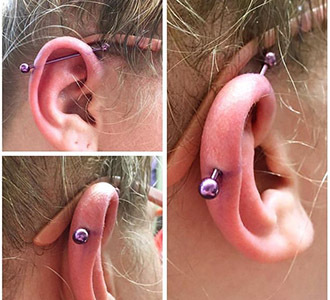 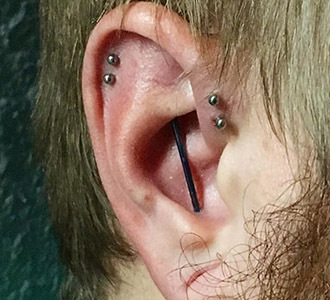 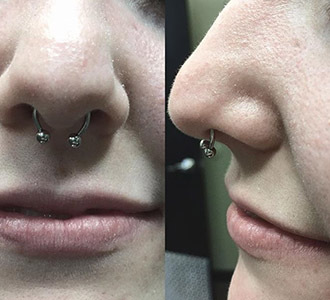 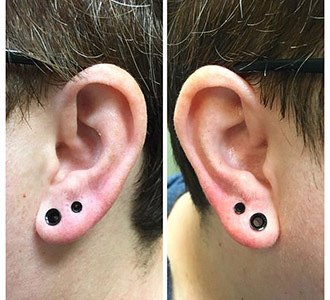 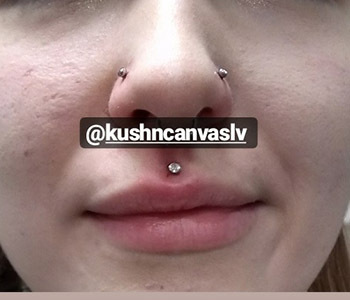 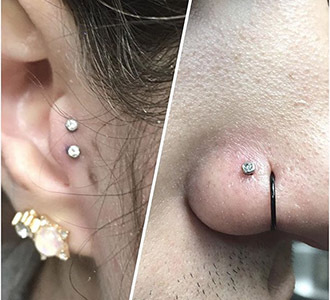 I enjoy doing all kinds of piercings, from the classic nostril, to an ear project, to intimate piercings, they all have their own unique aesthetic. 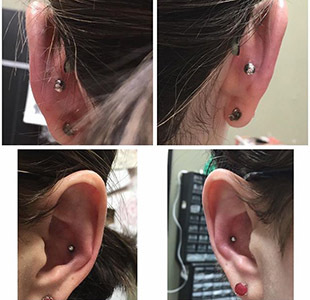 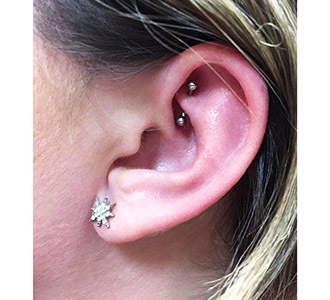 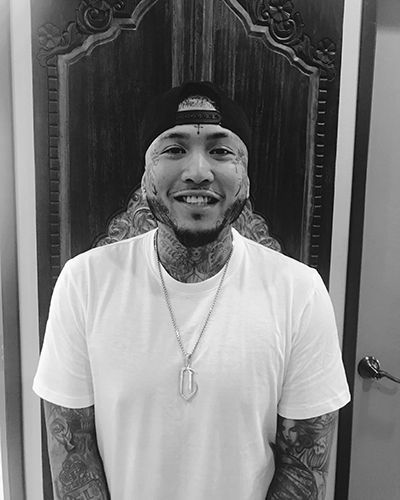 Naturally, I am devoted to continue learning and growing as a piercer, I strive to make sure you have a fun, comfortable and easy experience and that you always leave satisfied with a piercing that compliments your personal style.